As the year ends, here are few recent highlights. We received $1,000 from Cary MacGregor and Apex Sunrise Rotary Clubs to spend on much needed supplies such as lots of new gloves, trash grabbers and attractive signs and banners. These two groups saw the value in our work when they volunteered in October for a trash cleanup. We're reaching out to youth not just to help remove trash but to raise public awareness among the next generation. This Fall we hosted a wonderful group of 22 YMCA Y Guides from the Waco Tribe. These are Dads bringing their young daughters or sons to the lake to pick up trash . 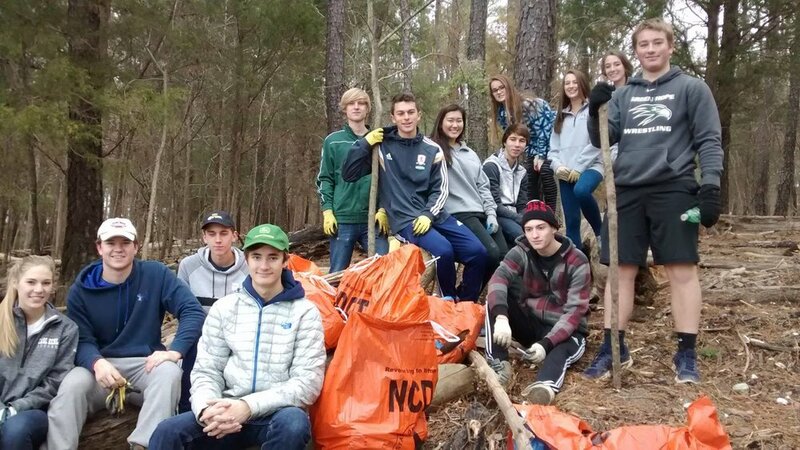 In mid-December, 13 students from the AP Environmental Science class taught by Carl Rush at Green Hope High tackled a huge load of trash on Wilderness Island brought by Hurricane Matthew. On a very chilly morning, they removed 37 bags of trash and 4 tires. The Marine Conservation Club at Enloe High will join our Adopt-A-Shoreline Program in 2017. They will be co-assignmed to the WRC Fishing Access at Bells Church, a chronic, badly littered area. The residents and staff at Galloway Ridge is another new group that will share this site assignment. The Sudduth Family will take over adoption of the the westerly set of boat ramps at WRC Farrington Point Access. 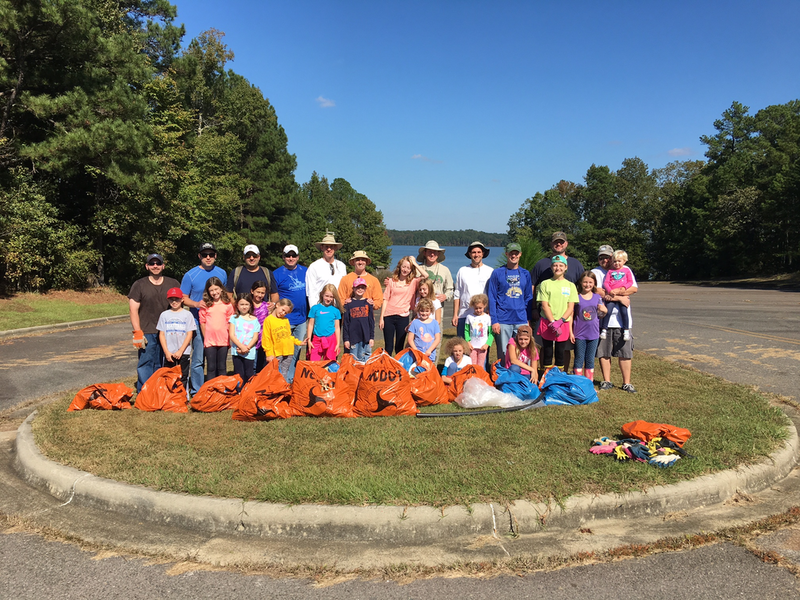 Hurricane Matthew forced us to cancel our big Annual Fall Trash Cleanup in October for which 150 volunteers were expected. But even without them, we had 756, 75 more than 2015. Our biggest turnout with no rainouts was 910 in 2013. The yearly number of tires removed has sharply declined since 2013. This is because of our hard work in catching up with the legacy of tires accumulated since 1982 when the lake was filled. However, tires still do continue to arrive from the watershed with each big rainfall event. The sites in our Adopt-A-Shoreline and Adopt-A-Feeder Stream Programs have grown to 20 with two just being added. To date, nearly 4,900 volunteers have participated in 270 cleanup events. They've removed 12,189 bags of trash and 3,949 tires. Thanks to all for another great year of volunteering!